I recently had the pleasure of eating and drinking my way around all of California. 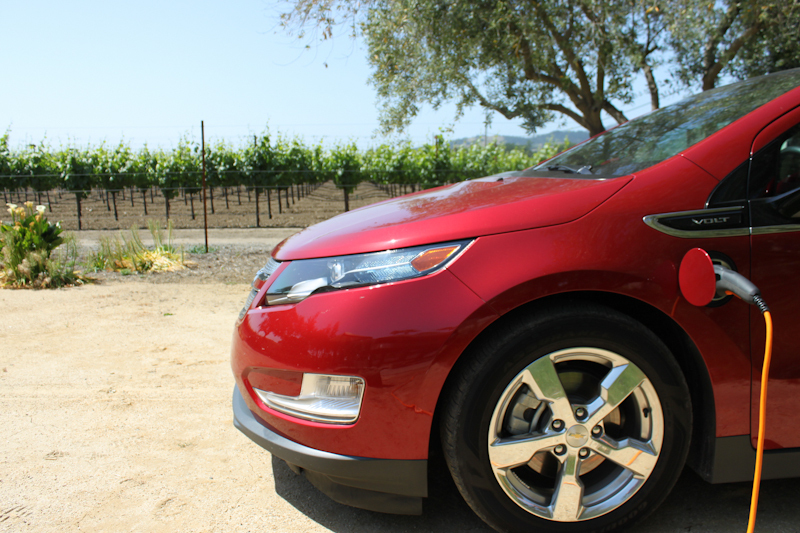 Over a three week run I put some 2,000 miles on a (borrowed) Chevy Volt all while visiting sustainable farms, wineries, chefs and food producers. And just to be a bit of a humbrag, I did things I never thought I would, like make ice cream with the owners of Bi-Rite Creamery and hang out with Adam Savage from MythBusters to talk about food myths. And I even got to visit a favorite winery of mine, Medlock Ames where I learned how to make this lovely Lavender Splash Cocktail at their tasting room and bar. Medlock Ames is located in Sonoma County's Alexander Valley and they make some of the best wines you'll ever taste. But what makes them really special is their commitment to quality and sustainability which extends beyond the production of great wine. This Lavender Splash Cocktail is just one example of that commitment. 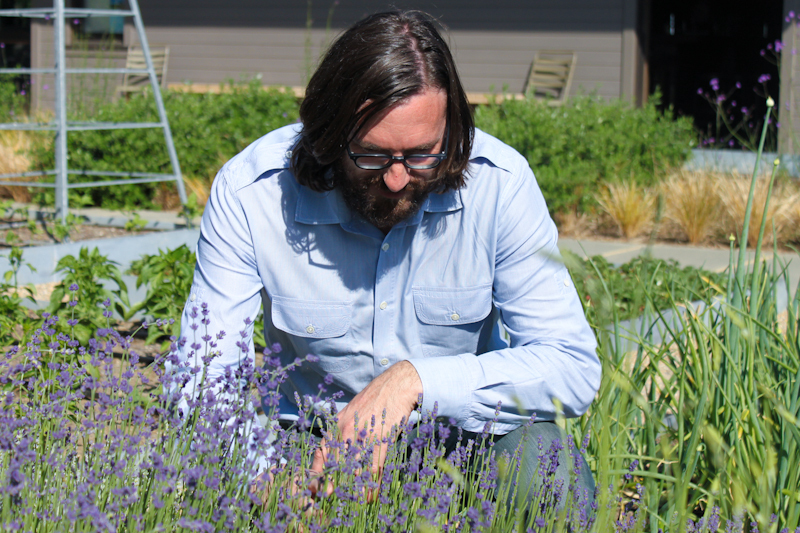 It's made with lavender organically grown at the Medlock Ames Tasting Room, shown below with winemaker Ames Morison. To begin with, the 400-acre vineyard is completely organic, certified and all. In fact, only 50 acres of it is actually farmed. The remainder is left unaltered which is great considering the estate has a neighboring wildlife preserve. As a result, wildlife corridors have been built throughout the property so that wild pigs, deer, bobcats and mountain lions can make their way without being harmed. Or harming any of the grapes. The winery itself is home to a 84 kWh solar system, which also happens to be a gravity flow facility. During the course of turning grapes into wine, fruit is crushed, fermented and then bottled. But moving all of that vino around usually requires a pump, at least conventionally speaking. But gravity flow wineries are designed to, well...use gravity. Wine is moved from point A to point B using good ol' Mother Earth. As a result, gravity flow facilities use significantly less power than conventional wineries. But they also make much better wine. The delicate nuances found within every grape varietal is actually maintained. It's a win-win. While visiting the tasting room, I was even able to plug in my hybrid while we made this very tasty cocktail. If you are looking for a reason to visit Sonoma, this is it. The Medlock Ames Tasting Room is a renovated bar and gas station from the early 1900s. And it too is eco-friendly. Reclaimed wood from the original structure has been used in the new tasting room and bar. And when wine tasting shuts down at 5pm, the adjacent bar conveniently opens up. Here you will find fresh garden-inspired cocktails and quite a few locals. It's like a hipster version of Cheers. So calling Medlock Ames green is a bit of an understatement; they're way beyond green! In this video, you'll see the bartenders whipping up this lovely garden cocktail. 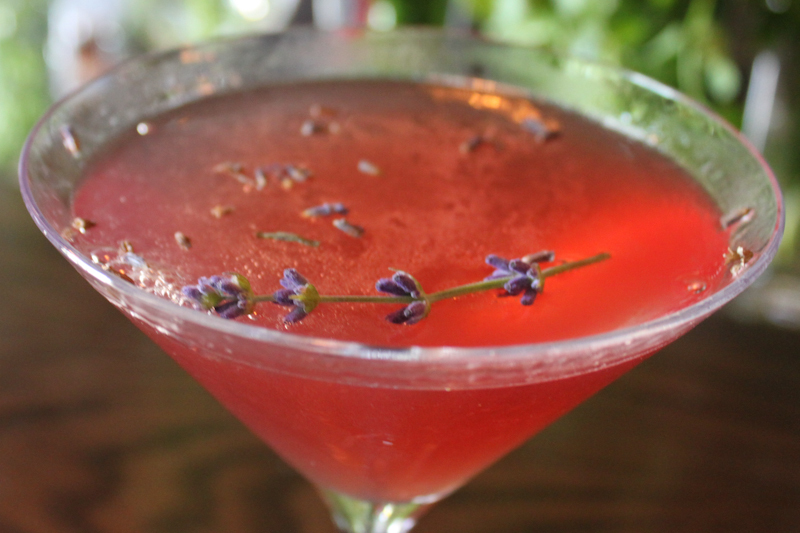 And this Lavender Splash is just one of many garden-themed drinks you'll find here. Pretty much anything planted on-site is game for a mixed drink. One of my other favorites is their spicy margarita made with jalapenos from the garden. Chill a martini glass by filling it with ice prior to mixing the drink. Add all of the alcoholic ingredients to a cocktail shaker, add ice and shake thoroughly. Strain the liquid into the chilled glass. 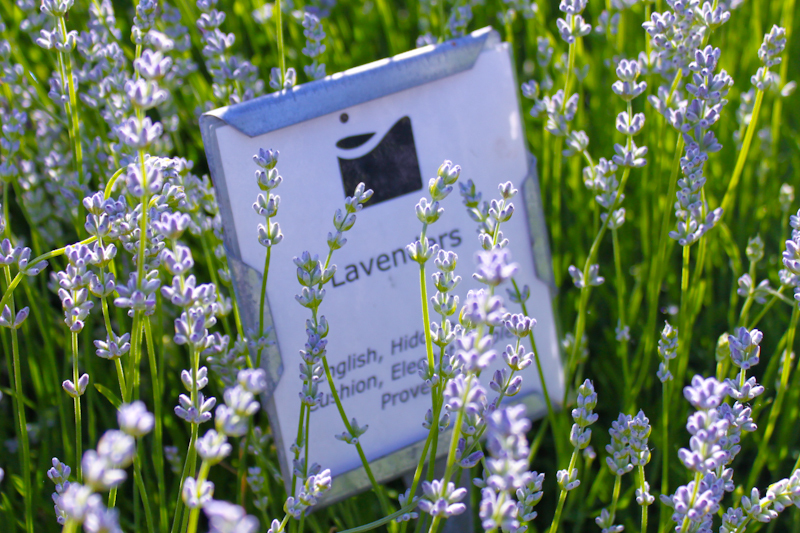 Garnish with both fresh and dried lavender. Enjoy!